Go ahead - lend Maisy a mixing bowl so she can whip up some chocolate bunnies. Then help her hide them in the garden and hand out Easter baskets to her friends (color-coordinated to their outfits, of course). Now the hunt is on! The perennially popular Maisy - and lots of colorful, reusable stickers - make this a holiday book kids will be eager to get their hands on. Hunt no further! 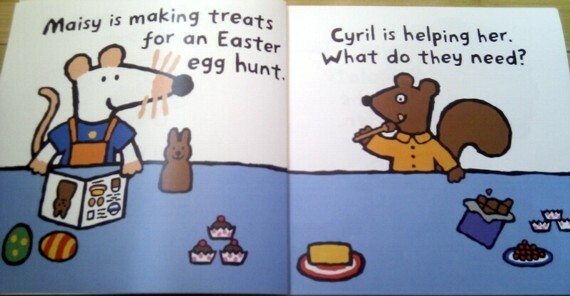 Here is the perfect Easter book for preschoolers, who will adore helping Maisy search for treats - and then sticking them on each page to complete the picture. If you are the parent of a young child, you probably know who Maisy is. 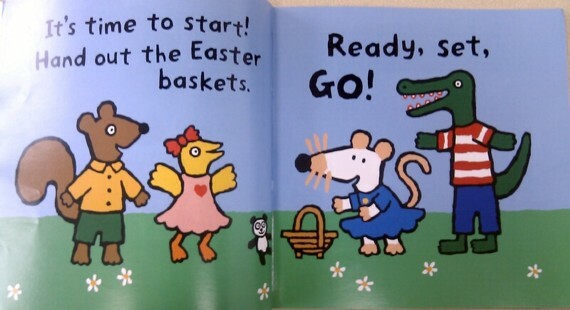 She's a mouse with a duck, a squirrel, an elephant, and a crocodile for friends. Why the crocodile isn't trying to eat the others is beyond me, but that's life in Maisy's world. Both of my daughters love the Maisy books; there's something about their simple stories and colorful pictures that even appeals to adults. The books are short and easy to read. But, the stories are never obnoxiously simplistic, like so many other books for small children. 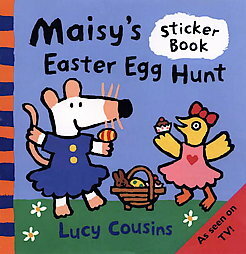 This is yet another fun sticker book for preschoolers featuring the always popular Maisy and her friends. You'll probably find that the stickers end up all over the place, often not anywhere near the inside of the book, but that's half the fun of these type books for kids. As always Maisy entertains small children over and over; they never seem to tire of her colroful, short stories.